We found new hope: portals to outdoors! But alas, every time we crossed one, it brought us back to the same room. Vayandil: Jollyhoots?! I will wipe those smugs off your faces! Gheralf: Let them jollyhoot! We’re going! The new attic is done! And it’s full! I need another one! So, I need you to stand there for another week and keep handing me comics. You did fine last time, so I expect that kind of work motivation from this week as well. 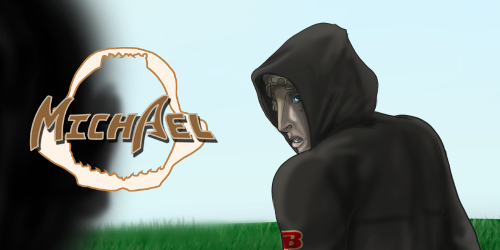 Michael by D. Randall – What would it be like to be a gemue in an all human high school? Michael is about to find out as his sharkmue genetics begin to show. Some want to put him on a pedestal, while others want to run him out of school - Michael just wants to survive the ninth grade. 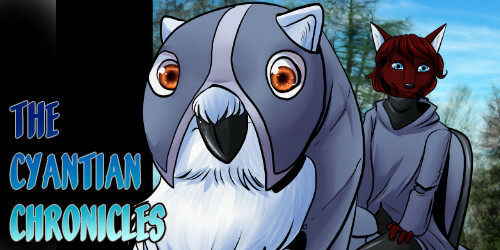 The Cyantian Chronicles by Tiffany Ross – The Cyantian Chronicles is a collection of ongoing comics centered around anthropomorphic creatures from another world and their adventures in finding out who they really are, other than a genetically engineered slave race whose roots lie on the planet Earth. 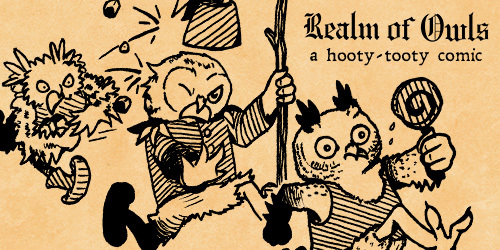 Realm of Owls by Gheralf and Vayandil – Wait, this one seems awfully familiar? I wonder what… oh nooo!